A beautiful invitation or piece of stationery is more than cardstock, with every envelope containing a piece of the sender, it's the first impression of a memorable event or a heartfelt greeting. We’re here to celebrate your special occasion every step of the way. We love being with you on your journey to create a full, individualized vision of your save-the-dates, invitations and all day-of items. 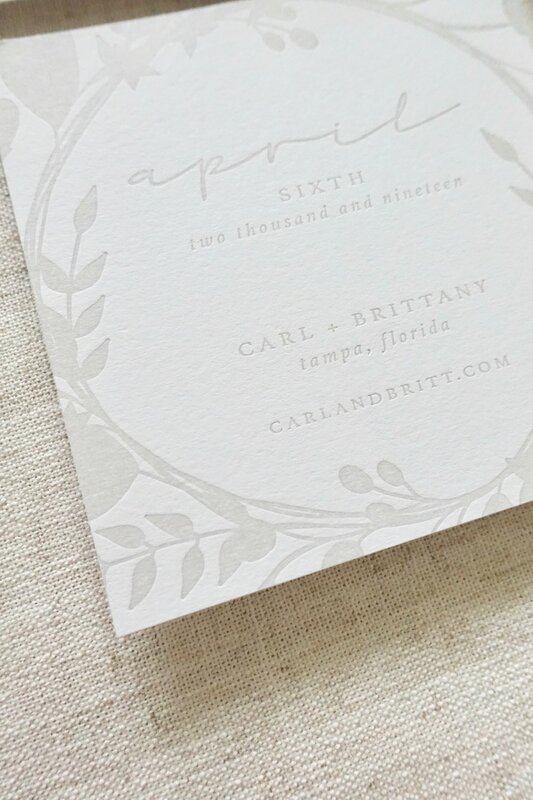 An invitation sets the tone for your event and helps guests prepare for the big day. That’s why our designs are completely customizable to fit your unique wedding or event. Because our designs are completely customized, your investment is dependent on the quantity and must-have details for your big day. Each project is quoted based on your specific needs. Is Custom or Semi-Custom Design Right For You? We’ll work with you to make your dreams into reality with fully custom invitations, save-the-dates, day-of items, thank you cards, event branding and more. Effortless and elegant paper goods in a variety of designs crafted with unique touches for your big event.